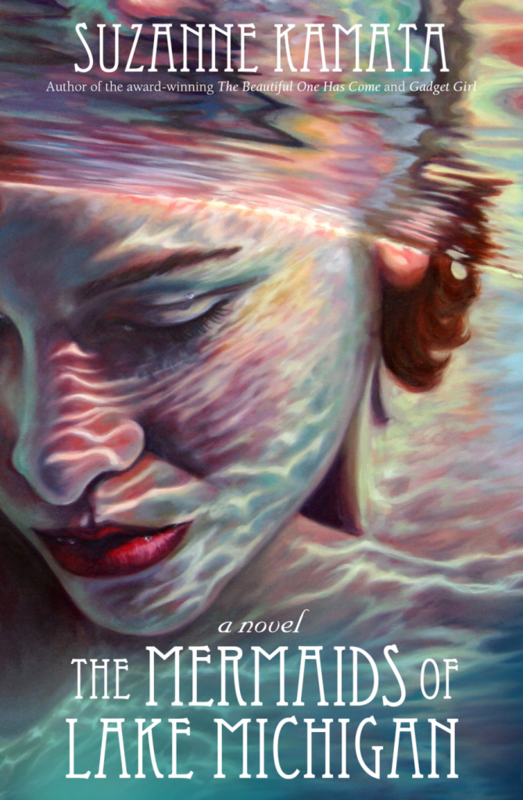 Like the main character of The Mermaids of Lake Michigan, Elise, I spent a lot of my teen years with my nose in a book, not bothering to be part of the social activities at my school. Like Elise, I am happiest when I’m in the water. But unlike Elise, I’m not a fictional character growing up in the midwest, and my own coming-of-age was vastly different than hers. Still, I found the entire novel quite engaging. Elise is a relatable narrator, and the mixture of innocence and candor in her story captured my attention from the first page, and kept me reading to the last. While this novel is Elise’s story, I found the arcs of the other characters who were spotlighted just as compelling. Amanda, the younger sister who is more advanced socially, Chiara, the wild best friend, and even Julia, Elise’s mother, whose secrets come out slowly, as her daughter discovers them. It is this focus on the women in the piece that I found truly interesting about Kamata’s book. Certainly men are present – Elise’s father, Miguel, the gypsy she meets at the carnival, Chiara and Amanda’s respective boyfriends – but they are incidental, used to illustrate the changes in their female counterparts, more than fully-dimensional characters in their own right. What results from this blend of honesty and exploration is a novel that feels both familiar and unfamiliar at once, like a long walk where there’s always something new and interesting around the next bend.